When tenacious inspiration partners with powerful technology, potential turns into progress. Setting up an awesome sound system from your PC can be daunting, with various file formats, storage options, and external equipment to consider. This primer will get you rocking. Portable computers are the hi-fi stereo systems for today’s music lovers. They enable you to carry your entire music collection with you wherever you go, allow you to expand your listening options via Internet radio and music subscription services, and can even serve as the heart of a full audiophile sound system to pipe music throughout your home. Hi-fi computer audio starts with a powerful laptop or 2-in-1 like the HP Envy x360, with ample storage for all your music files and long battery life to keep the playlists going all day or night. With that foundation, you’re ready to build a system that will upgrade the sound. Here’s how to get started. Stellar sound starts with high-quality music files. Though the mp3 format is synonymous with digital music in many people’s minds, there are actually a variety of audio-file types and they’re not all equal. Lossy compressed: Many file types are compressed to reduce file size. This file type is so named because some amount of data is lost during the compression process, which can compromise sound. The greater the compression, the more data that is discarded. A file encoded at 320kbps may sound indistinguishable from the CD file it was ripped from, particularly if you’re listening to it on your smartphone ear buds. But a 128kbps file will have a noticeable degradation of sound. Popular audio formats like mp3, AAC, and WMA are in this group. Lossless compressed: As its name suggests, this group of file types uses compression without any loss of data. As a result the file sizes are smaller than an uncompressed (though still at least double that of their lossy counterparts) but they retain the audio quality of the source file. FLAC, WMA Lossless, and ALAC are popular formats in this category. Uncompressed: These file formats don’t use any compression at all, so they duplicate exactly the original audio source. The downside is the lack of compression results in huge file sizes. An uncompressed file can be 10 times bigger than an equivalent mp3 file, so they’re usually only used when you need to edit the audio. WAV and AIFF are the most popular uncompressed formats. 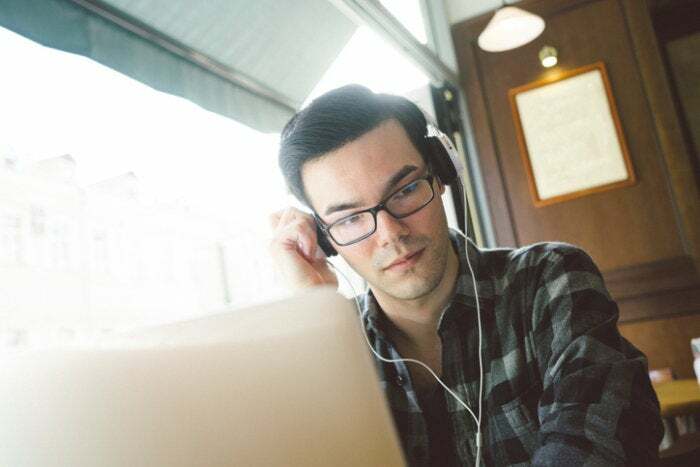 If you’re sourcing your music from your own CD collection, a lossless compressed format will give you the best balance of great sound and space-saving files sizes. If you’re planning to use iTunes to rip files, your choice is made for you as Apple’s proprietary ALAC is the only lossless compressed format it supports. However, FLAC is supported by a variety of music management apps, including Windows Media Player. Given that it takes hours to convert even a modest music collection to digital files, the last thing you’d want is to have it wiped out in seconds by a computer crash or an errant keystroke. That’s why it’s critical to back up your music library. The easiest way is to copy all your files to an external hard drive. Storage prices continue to drop, and you can get 1TB drive for $50-$60. That’s enough to hold around 200,000 songs, more than enough for even the most ravenous music consumer. The average person needs far less, but a general rule of thumb is to buy the most storage you can afford. That’s especially true if you’re using FLAC or ALAC files, which can eat up space quickly. Remember, though, that external hard drives can fail or get lost. And there’s also the burden of remembering to connect them for regular backups. If that sounds like a challenge, you should opt for some form of online backup. A good cloud service will remotely back up your music along with all your other important files at intervals you specify, keeping the most updated copies of your library safely offsite and easily recoverable in the event of a disaster. You can get 1TB of cloud storage from a service like Google Drive for about $10/month. Your high-quality music files will only sound as good as the audio system you play them through. For discerning listeners, that means augmenting your laptop with some extra audio gear. The easiest, and perhaps least expensive, way to do this is get a set of computer speakers. You can opt for standard stereo pairs or 2.1 systems, which include the left and right speaker plus a subwoofer for deeper bass. You may also consider surround-sound options if you’re also going to be using your computer for watching movies or playing immersive video games. The most common way to connect speakers to your laptop is through the audio jack, but there are also USB-powered systems and those that connect over Bluetooth or Wi-Fi. You’ll get even better fidelity, though, if you run your laptop through a more full-featured sound system. This requires you to connect the PC to an A/V receiver. The easiest way is to use a cable with a mini stereo plug on one end and RCA connectors on the other. Put the stereo plug into the headphone jack of your laptop and the RCA plugs into the audio input at the back of the receiver and you’ll be ready to rock. Tethering your laptop to your stereo system is fine if you only listen to music in one room of your home. But what if you want the option to play music throughout your house? There are a variety of ways get the audio fidelity of a wired stereo setup with the same flexibility you’d have if you just toted your laptop from room to room. Multiroom music systems like Sonos allow you to stream music stored on your laptop all over your house using your mobile device as a remote control. You can set up a similar system by attaching a Chromecast Audio streaming device to each set of speakers in your home. Multiroom receivers—components that include extra amplification plus built-in Wi-Fi and Bluetooth—allow you to stream music across rooms. Digital music has enabled us to enjoy our favorite tunes wherever and whenever the mood strikes us – and you don’t have to sacrifice quality for that convenience. With a small investment in time and components and a capable 2-in-1 device to serve as the heart of your system, you’ll ensure you get the most out of your music.